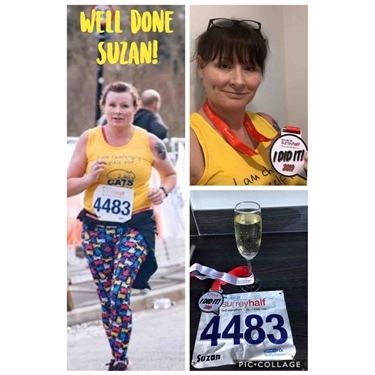 Suzan successfully completed the Surrey Half Marathon; well done! An absolutely amazing achievement and thank you for helping to raise over £1,300 for us - the cats in our care really appreciate it! An incredible amount.